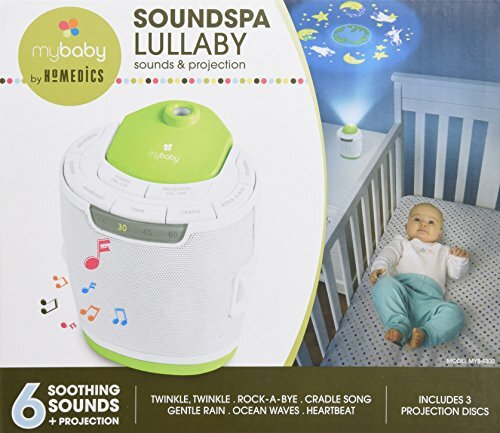 The HoMedics myBaby Soundspa Lullaby Sound Machine and Projector has sounds and projections that create the fitting atmosphere to lull your child to sleep. 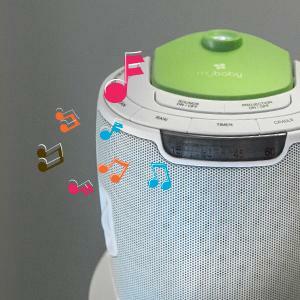 Choose from three nature sounds: heartbeat, rain, or ocean. Need a lullaby? Try Twinkle, Twinkle Little Star; Rock-A-Bye Baby; or Cradle Song – Brahms. 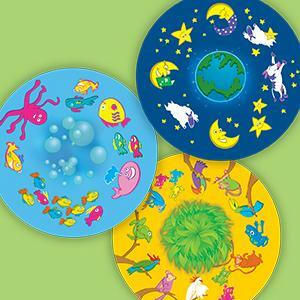 The three included picture disks can project onto a wall or ceiling. 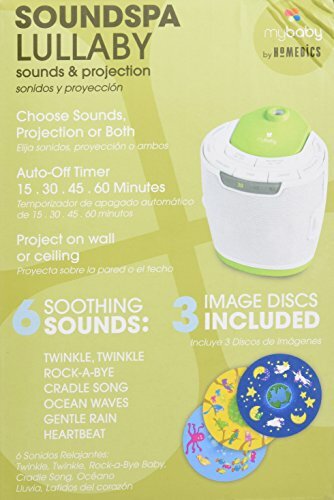 Make a selection of sounds, projection, or both mixed for the best sleep your baby can have. 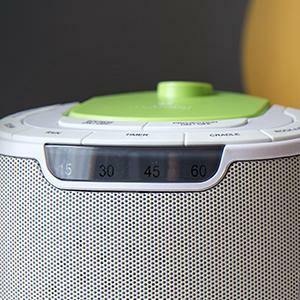 The Soundspa Lullaby additionally features an auto-off timer for 15, 30, 45, or 60 minutes. 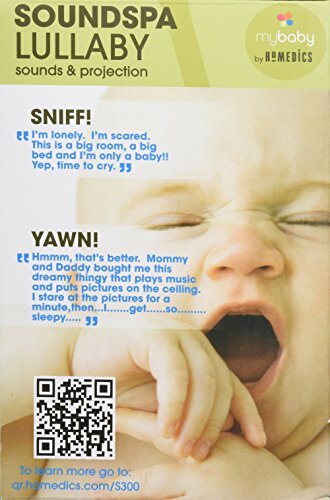 I Love This Nursery Item And My Kids Use It Everyday! 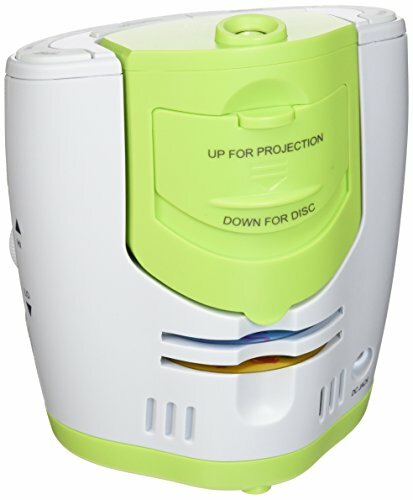 As an owner of this item mysef, my kids have used this item for years in each of their rooms. They prefer the Rock-a-bye-baby lullaby. 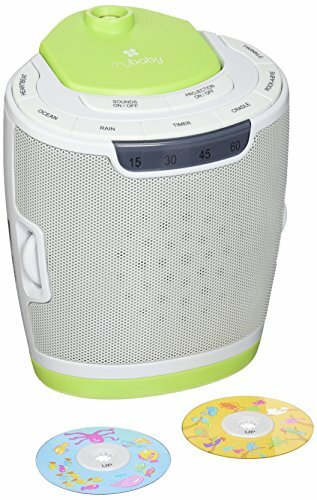 The screen on the speaker is made of metal and very durable for those times when a cranky toddler doesn’t want to go to sleep yet and might decide to toss this Soundspa Lullaby Sound Machine. Remove the small rubber feet on the bottom. You will see a rubber band/belt going from the motor pulley to a larger pulley. Plug the unit back in, and turn the larger pulley until the motor frees itself. It will start turning on its own after a few turns. 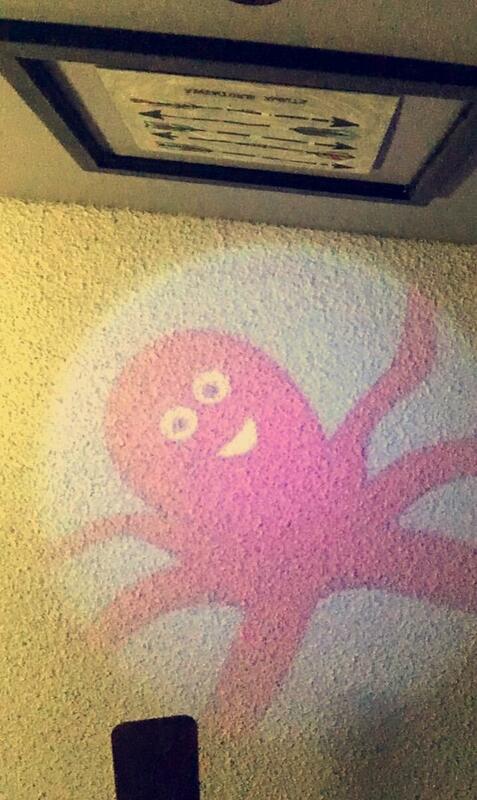 Unplug it, put it back together, and enjoy your functioning projector. 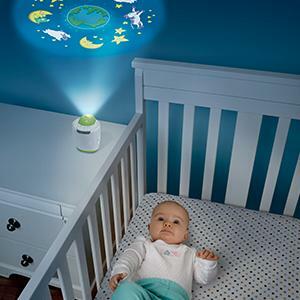 Overall, this item is the workhorse of the family when it comes to bedtime. Our kids, even as old as 6 years-old, can’t do without it. 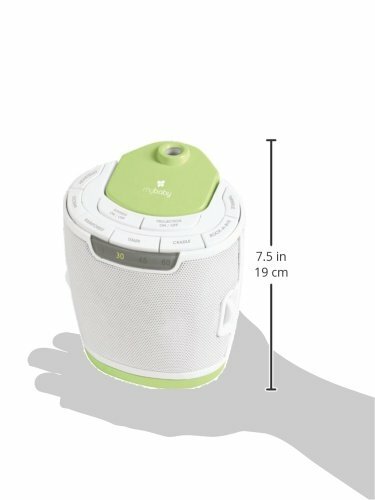 Unlike larger sound machines, the HoMedics MyBaby SoundSpa Lullaby is small and light enough to fit into a travel bag, backpack or suitcase. HoMedics is committed to assisting you in creating a healthy home environment to relax your body, relieve stress in your mind, and simplify your life. Founded in 1987, HoMedics is a trusted leader in health and wellness products. The HoMedics brand is widely recognized for home massage products, and continues to be one of the leading innovator in massage technology. 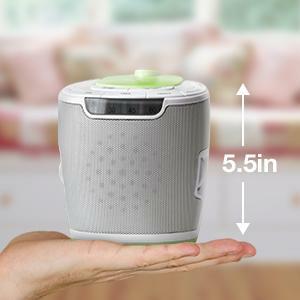 Additionally, HoMedics carries a full line of in-home wellness products, including air filters, humidifiers, white noise machines, fitness monitors, aroma diffusers, and many more.